If you are looking for a way to enhance some of your juggling routines performed in front of an audience (especially kids) then why not consider some very simple and cheap magic tricks? 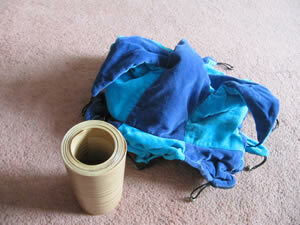 I use this prop to hide my 3 juggling scarfs mainly, which I can then produce after searching for them, and do a scarf juggling routine. Alternatively, I can put in a red ball, and bring out a blue ball, or a completely different object altogether allowing for some great comedy ideas! 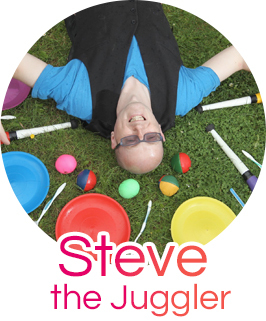 If you wear a Jugglers Hat, then there is a fantastic prop you can buy to fit inside it called an 8ft Pole. At any point during your performance, you can ask someone from the audience to perhaps throw a ball into your hat, and then you can pull out what looks like an 8ft wooden pole. Very cleverly designed prop! A jugglers hat can also be spun on a plate spinning stick, thrown in the air and caught on your head for a lovely finish to a routine! When catching the hat on your head, bring your hand down on top of the hat to squash it. This will make sure that it stays on your head and doesn’t just rebound! These rings are white on one side and have a different colour on the other side. Juggle the rings so that the audience just see the colourful side at first, then switch your catching position (you need to find a way to catch the ring and turn it over so that the audience will now see the other side of the ring). The audience will be amazed that the rings have suddenly had all the colour removed! 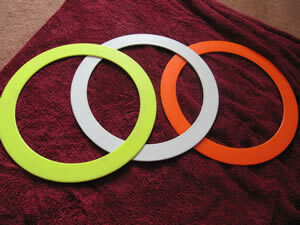 You can then bring the colour back and finish by stacking the rings around your head! One of the simplest magic tricks ever invented (once you know the secret!) This prop allows you to flick through the book and just see blank pages, or black and white pictures, or fully coloured in pictures. You can ask the Children to use their imaginations to fill the pages, and to throw colours from their clothing to make the book colourful. 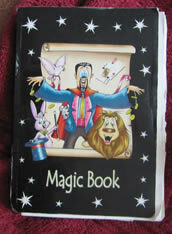 The only limit to this trick is your own imagination as you can easily entertain kids with this prop alone for 30mins! 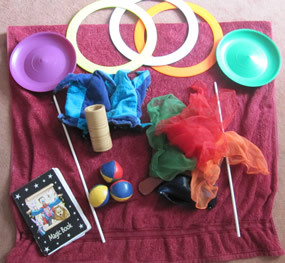 Sometimes if you have a few of these props in with your Circus Skills Workshop kit, you can bring them out for some of the quiet/shy kids who don’t really look as involved as the others. If you let them try to figure out how the trick is done (or perhaps tell them after they have had 5mins trying to work it out) then they are suddenly full of energy and running around to demonstrate their newly found skill to anyone who cares to watch. What an amazing transformation! 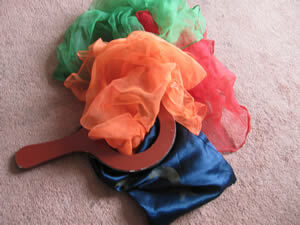 Magic can be used in so many different ways to enhance your existing Juggling skills and routines. Go on, give it a try!